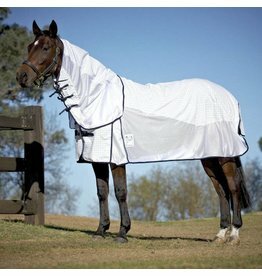 Breathable mesh side panels and white colored fabric keeps your horse cool, prevents bleaching of your horses coat, and deters flies. 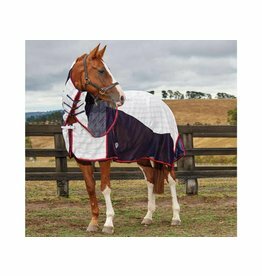 Saxon's comfortable, durable, and econmical fly sheet! Soft polyester mesh blanket.